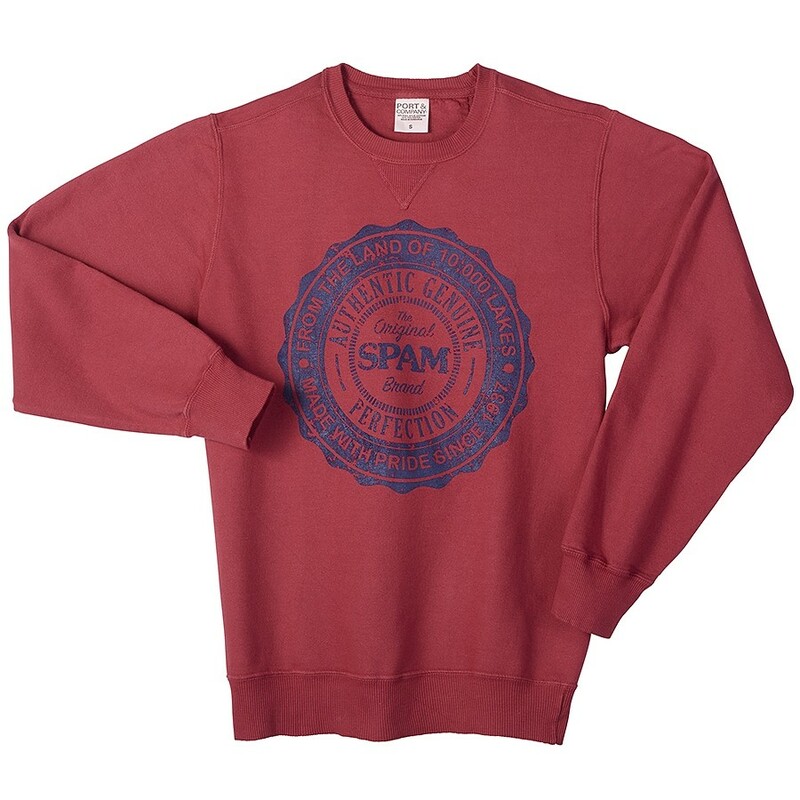 Maroon color crewneck sweatshirt with navy imprint of "The Original SPAM® Brand - Authentic - Perfection, From the Land of 10,000 Lakes - Made with Pride Since 1937". Available in sizes S-XXXL. Also see similar sweatshirt G6662.